The new Integrity Series brings seamless iPod® integration, enhanced entertainment options and modern design to the legendary cardio machines of Life Fitness. Building on the heritage of its renowned FlexDeckTM Shock Absorption system, the Integrity Series aims for durability with style. With its clean silver and gray color palette, the Integrity products mirror Life Fitness' design-award winning Elevation Series cardio line. Integrity Series models include newly designed treadmills, elliptical cross-trainers, Summit trainers, stairclimbers and upright and recumbent bikes. The Buddy Lee Hyperformance Aero Speed Silver is a Hyperformance Rope designed for the serious adult or youth athlete/fitness buff. It is made for ultra speed and power jump rope training. The Aero Speed has 6-inch handles made of T-grade aluminum for superior quality, durability and look. It is designed with Buddy Lee's swivel bearing system that is technically engineered to eliminate friction, drag and tangling, and to allow smooth turning action in all directions. The innovative adjustment system allows you to custom-size the rope for your height in seconds. Adjustable for people 6'5" and under. Fitness Master's Kids group cycle bike the X5 offers the safety of freewheeling for the child, limiting the injury possibility in the kids' class. Aluminum alloy pedals last longer than similar plastic pedals. Flywheel of 16.5 pounds and a weight limit of 250 pounds. TriActive America produces more than 50 pieces of equipment and constantly updates design performance, processes, material and construction quality. TriActive's newest line of wheelchair-accessible equipment is the first of its kind. As communities and organizations have become more aware of ADA guidelines and accessibility issues, TriActive designed this line of equipment. Ball Dynamics International is a master distributor of professional-quality fitness and rehabilitation products. Ball Dynamics recently became a preferred vendor of the International Council on Active Aging. 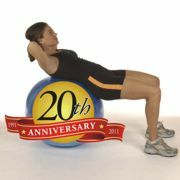 Ball Dynamics is the U.S. manufacturer of the most recommended burst-resistant fitness ball—the FitBall® exercise ball. The newly expanded FitBall® brand of fitness accessories includes group exercise equipment, balance and strengthening tools and functional training products. Cardio, strength and flexibility workouts are all launched to the next level with the unique STEP360TM Pro from SPRI Products Inc. This versatile, functional training tool uniquely combines a stable platform atop dual inflatable oscillating air chambers for a valuable balance challenge during a multitude of functional and traditional exercises. All levels of exercisers can add excitement to their routines, improve core strength and stability, maximize exercise efficiency and achieve optimal performance through 360 degrees of movement. The SkiErg offers total-body exercise using motions from the sport of Nordic skiing. Using the same mechanics and electronic monitoring systems as the Concept2 Indoor Rower, the SkiErg builds strength and endurance by working the entire body in an efficient, rhythmic motion. Like Nordic skiing, the SkiErg offers terrific exercise for upper body, core and legs. Each pull starts with arms and shoulders, then involves the core muscles in a downward "crunch" and finishes by engaging the legs. Iron Grip's new patented design for its premium urethane dumbbell line features a sturdy 1 3/8-inch diameter handle, with flared shoulders that expand to a heavy-duty 1 3/4 inch diameter at each end. The extra-wide ends not only contribute to improved strength and durability, but they also create a defined gripping area in the center of the handle. This unique ergonomic shape helps the user position his or her grip correctly in the middle of the handle, for a safer, more comfortable workout. A uniquely textured urethane coating better resists scuffing and scratching.